Fairy Tail 468 largely focuses on the past where Aquarius shows up and takes Brandish and Lucy to see the past where Anna, Zeref and Igneel make a plan to send 5 individuals to fight against Acnologia. Layla did not kill Brandish’s mother, Zoldio did. 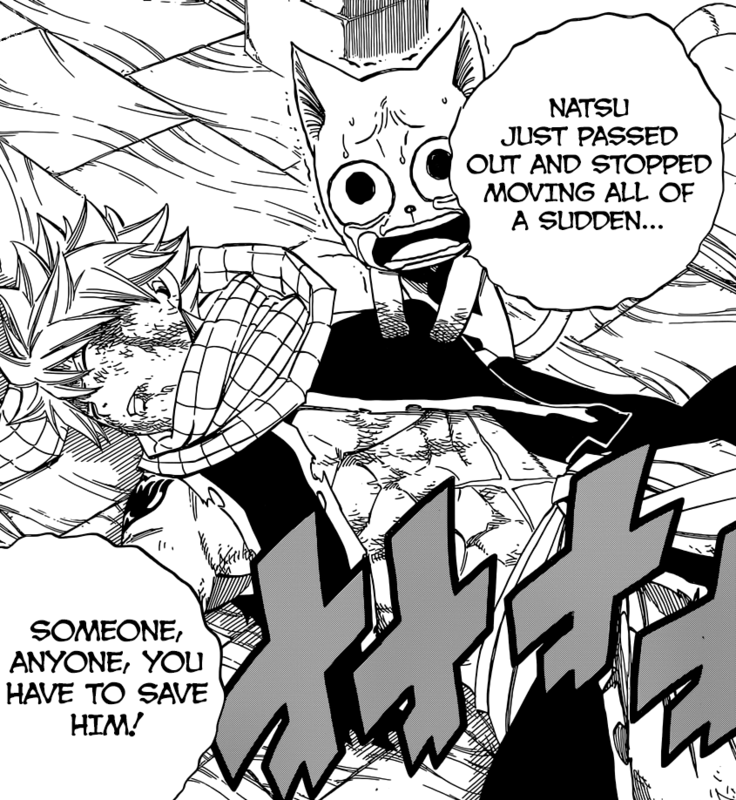 Natsu shows up unconscious when he returns to the guild. Fairy Tail 468 begins as Lucy notices that she has returned, she hugs her. She is happy that she’s back. Aquarius mentions that she has only temporarily returned. A new key of the water bearer has been born somewhere in this world. The Spirit King has allowed for her to come by and visit, there is something something she has to do. Aquarius knows Brandish when she begins to scream at her. It seems that Aquarius is Brandish’s master. It seems that when she was little she used to talk and talk to her. 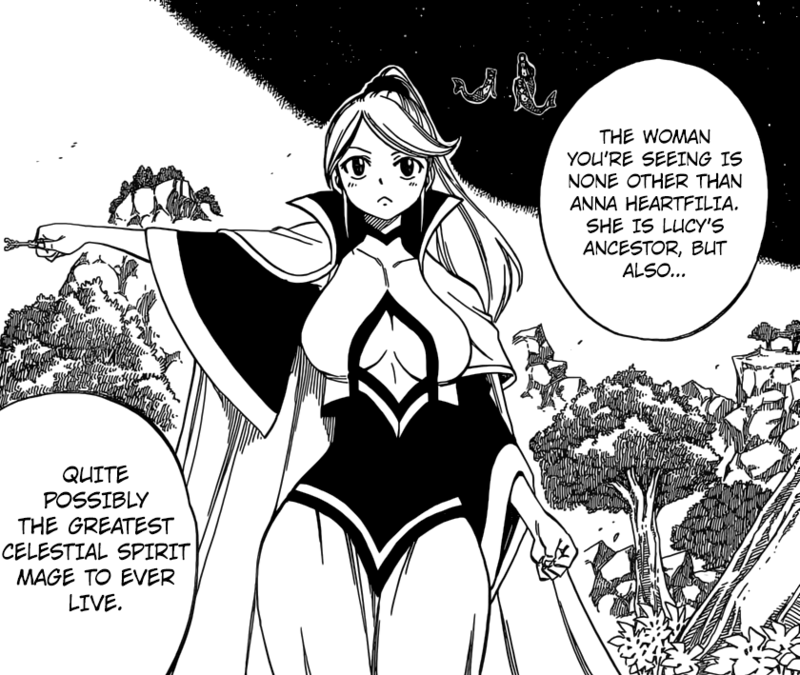 Aquarius mentions that Lucy is her master and thus in turn she is also her master. However, Brandish mentions that it is Layla’s fault for what happened. Furthermore, Layla did not kill Grami, Aquarius begins to glow and they transport somewhere where Lucy and Brandish transform into mermaids. Aquarius asks both to follow her as she mentions that they are in the archive of all memories. They begin to see something, it appears to be Anna Heartfilia as she’s describes as one of the greatest celestial spirit mage ever to live. Zeref, Anna and Igneel all meet to set a great plan in motion. Their plan is to send powerful warriors who would one day defeat Acnologia in the future. Using the Celestial Spirit Mages power, they used the door of the Eclipse. Two mages are required for the gate to open, the first was opened by Anna and the second was opened 400 years later by Layla. All 12 keys are required to open the door, but the 12th key of Aquarius was not present when was required. Anna had compensated by her own life force to make up for the magic power. She already had a frail body, but when she opened the gate, she was infected by magic deficiency disease. When Grami visited Layla, she was upset that she heard it about it and how she couldn’t make it in time. The duty of opening the Eclipse gate has always been to that of a Heartfilia family. Layla begins to talk about Brandish as both Lucy and Brandish are both the same age, it seems like they could both be friends when they group up. As Grami leaves the house, Zoldio appears and stabs Grami for what she has done. Zoldio mentions that she is to blame for this and must die. 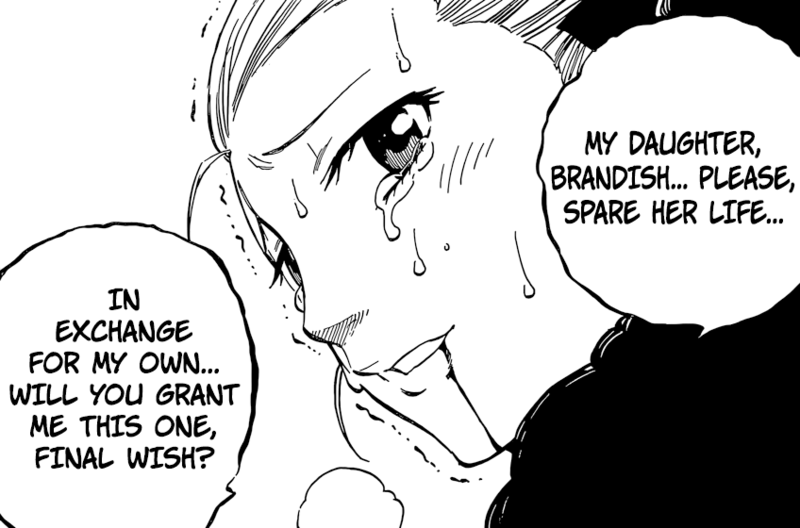 Grami mentions to leave her daughter Brandish alone in exchange. Brandish begins to scream as Lucy quickly hugs her as she mentions that she is there to help her. It may be a little late, but Lucy mentions that this could potentially be a start for them and their friendship as predicted by their mothers. Aquarius still has something else to say when Happy runs in with Natsu, he’s unconscious as he collapsed all of a sudden, he asks for someone to save him. Fairy Tail 468 ends here. A pretty interesting and cool chapter, it seems that something has happened to Natsu, all while Aquarius still had something left to say. What could it be? 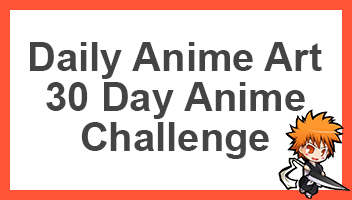 Can’t wait for next week’s Fairy Tail 469, titled “What I want To Do”. Maybe, I would like to know where the new key is and how Lucy or someone else will find it. On top of which, I’d like to know what has happened to Natsu. Do anyone know what happened to natsu,he was talking to happy two chapters before.is it the effect of the spell zeref used on END;S book? No one knows, I think using so much power when he did against Zeref out a toll on his body and all he currently needs is probably time to rest. Kagura, now half-naked, save for her skirt, retreats from her fight with Dimaria. The other forces have also been forced to retreat. The Wizard Saints have been defeated by God Serena and co.
End statement of chapter: From the beginning, the man known to Mavis and Zeref: Warrod. Does Tomorrow suggest his demise?